It is very difficult to give gifts to babies and toddlers especially some best keepsake ideas. What makes the process more difficult is that there are even moments that the parents are more excited to see the gifts than their kids. While babies and toddlers may be too young to realize the importance of the gifts, this does not mean you can just give anything to please the parents. Remember that babies and toddlers are special and gift giving is a way to show your care to the baby or toddler. If you want the perfect gift that will be remembered by the parents and share with their kids when they grow up enough to appreciate it, hampers are the best way to go. Hampers can be done at home, but there are already many stores selling hampers online. 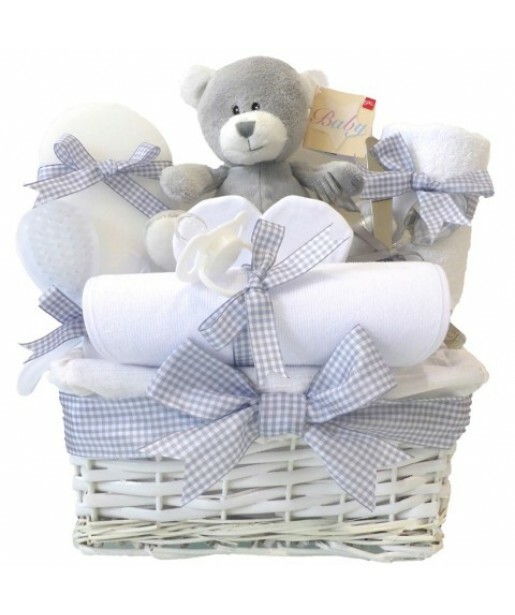 That is if you do not have the time to devote to making a baby and toddler hamper, why not let another person do it for you. Anyway, this will not make the gift less special because of your inputs. Actually, there are many ways by which you can make the hamper more special. You can always add little extras that you think that the baby or the toddler will need today and in the future. Online, there are many little extras to choose from including socks, lotions, baby soaps, blankets, comforters, burp clothes, bibs, and so on. To make it more special, there are online stores that allow each gift to be inscribed with the name or the initials of the baby or toddler, to make it more personalized. The best part of this service is it is free of charge. You just have to let them know that you want some or all of the items included in the hamper embroidered. Also, the overall theme of the hamper can be customized to suit the receiver more perfectly. You simply have to discuss your requirements with the representative of the online store. The store will surely create the perfect themed-hamper for the one whom you are going to give it to. For example, you may want to give an animal-themed hamper to inculcate to the toddler’s mind the love for pets. You have to let the store know of this, and they will choose items to include in the hamper and reflect the overall theme. Along with the hamper is the unique gift card that you may choose from. The gift card is inclusive in the package. Online stores allow you to create your own message to the parents and the receiver of the hamper. When the baby or the toddler grows older, and they happen to see any of the items in the hamper including the embroidered ones, they will surely ask their parents where they got them. This is where the hamper becomes a memorable gift wherein the appreciation of the gift will be remembered forever even when the baby or toddler is no longer using the items in the hamper and simply sit on the closet. You can click here to know more.